More often than not, when I meet someone who was born and bred a rider, whose family never factored in gender when it came to a mode of transport, often what follows is an apathetic shrug in encouraging others. 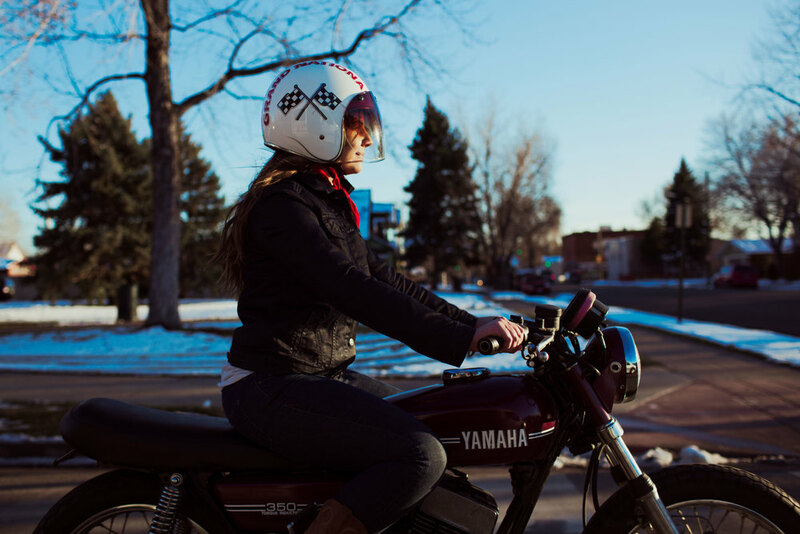 While Shelby is one of those experienced riders she saw that there was a need in her home town of Denver Colorado to create a safe and fun environment for other women to experience riding... and knew she was the one to do it. There were no feminist reasons for it, no elite club semantics or secret handshakes. Just the simple acknowledgment that women are more comfortable sharing the experience with other women… and so was born The Scarlet Headers; an all female social riding group in Denver. 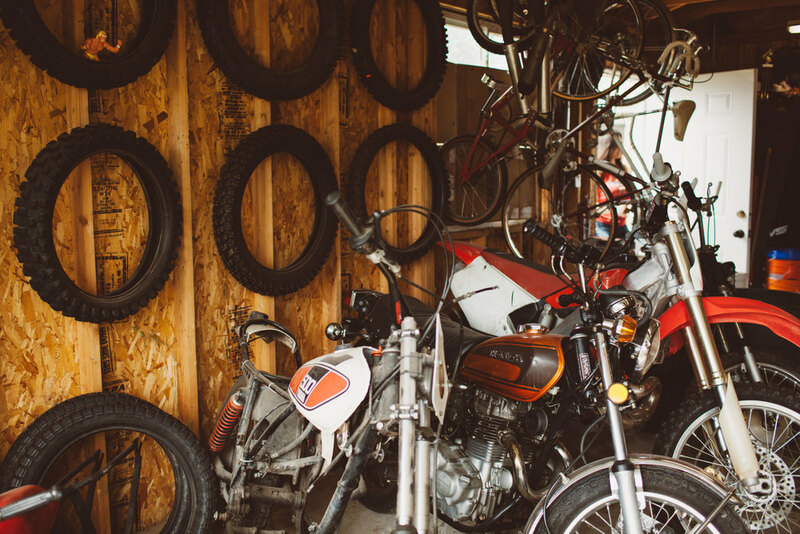 Growing up in Colorado, her father bought and assembled her first motorcycle at a young age and encouraged her into dirt bike riding as soon as she could say “left turn!”. Her mother also a rider who loves Ducati, motorcycling was a family affair in Shelby’s world. Once she could legally ride on road would do so to school with her father as a riding buddy. On the dirt track he was her crew, physician and cheer squad. When not riding, her father became a trackside physician for the Moto GP which meant Shelby got to see motorcycling at the elite level. Shelby didn’t realise however that motorcycling was more than just a family hobby until she left Denver. It was while completing an internship in San Francisco she picked up a job part time in a Ducati dealership before realising that motorcycling was an essential part of her life. Now back in Denver and working in a local motorcycle dealership Shelby saw a need. Being such a close community she quickly learnt of the riders around and it was the women who caught her attention. 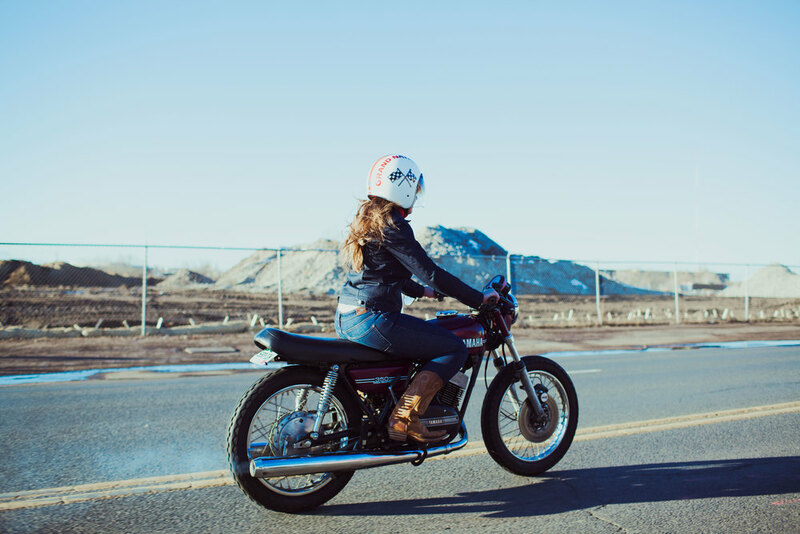 She’d always felt totally comfortable riding alongside men, but really wanted to connect with other female riders. When I asked her if she ever felt overlooked by customers because she was a woman, she admitted that was not as big an issue in her eyes as the female customers who would accompany their husbands or boyfriends assuming that motorcycling was simply something they could not do. Frustrating for someone like Shelby who has never had reason to believe that to be true. Within three months of The Scarlet Headers formalising there were over 30 women on the email list and a great diversity amongst the bikes and riders. In Venus Veritas and The Scarlet Headers both were in their infancy when Shelby and I met. We bonded over our shared passion for providing a place for women in the motorcycling community, to contribute to the culture with our clothes on, gear on and without the anecdotal or gratuitous mention of a female contributor. We both are on a mission to make motorcycling accessible which means communicating about it in a responsible way and encouraging any woman in their journey. After chatting I felt like we had been lifelong friends, planning for this very moment our whole lives, but instead total strangers on opposite ends of the planet! Any female rider who knows Shelby and The Scarlet Headers (and has an Instagram account) will have read her words and emoji’s of encouragement on their feed. She is everywhere other women are and clapping them along in all their efforts. No judgement, all enthusiasm and full support. Shelby would probably not feel comfortable being labelled a leader, but in my eyes, she is. Real leadership, real influence, comes in the form of a consistent voice who stands for more than just themselves. Shelby is this, and more. It was through taking the small action of making a decision to contribute in a positive way to the way women engage in the motorcycling community, and how we are represented, that she has started contributing to a bigger movement globally.